It was one of the weirder product launch conference calls I'd sat in on. Indeed, it was so weird, I felt like I was hogging the Q&A section at the end, to try to make sense of it. I received an email flagging up the conference call two hours prior yesterday, as well as a press release trumpeting the arrival of Pernod Ricard's Havanista Cuban rum brand. The 'new' rum - I say 'new', check the packaging, right - is exclusively for the US market and will hit the country once its authorities lift the 52-year embargo on products from Cuba. On the call, group CEO Pierre Pringuet and Jérôme Cottin-Bizonne, CEO of Havana Club International, talked of Havanista as the company's great white hope for the biggest rum market in the world. With the Havana Club trademark row still mired in US courts, and Bacardi selling its Havana Club rum in Florida, Havanista was trumpeted by the two men as Pernod's alternative to the rum it sells outside of the US, to the tune of 3.8m cases a year. The Q&A session afterwards threw up the fact that Pernod and its Cuban partner, Cuba Ron, registered the name Havanista with the US Patent and Trademark Office last year. Now, this is what the actual news is. 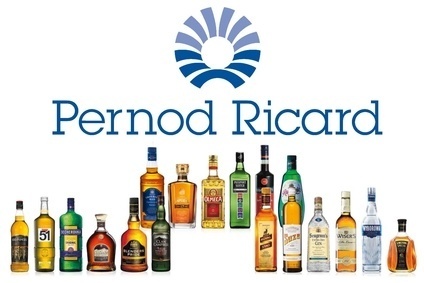 Pernod Ricard has registered an alternative name for a Cuban rum brand in the US. And, judging by the packaging for the 'new' brand (click through on the right), beyond the name, the company hasn't really put a lot of thought to the move. Of course, all of this is dependent on the end of the embargo. It was more than three years ago that Cottin-Bizonne's predecessor at Havana Club International, Marc Beuve-Méry, told me that he could see a thaw in relations between the two countries. "President Obama and Senator (Hilary) Clinton have said they are open to dialogue, which was not the case before," he said. "When there is dialogue, there is more possibility to see changes." Three years on, and not a whole lot has happened on this front. Nor does it look like we can say farewell to the embargo for a while yet. So, listening in to a conference call about the launch of a product that doesn't look like it's being launched any time soon was a bit weird.